Nifty opened negative and went down to touch the lows of the day within the first few minutes of trade but saw the buyer back to move the index back in green. The index oscillated within a narrow range and closed flat at 6516.90, a small gain of 5.00 points. The broader market though was weak, with 677 advances to 793 declines. Best support for the series has moved up to 6400 level. 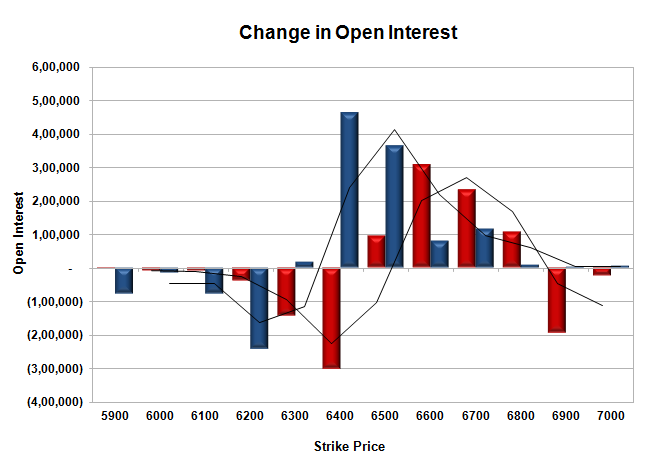 Call option 6500-6800 added 7.43 lacs huge amount of OI with short covering seen at 6400 and lower strike prices. Put option 6700-6400 added 10.24 lacs huge amount of OI with profit booking seen at 6200 and lower strike prices. 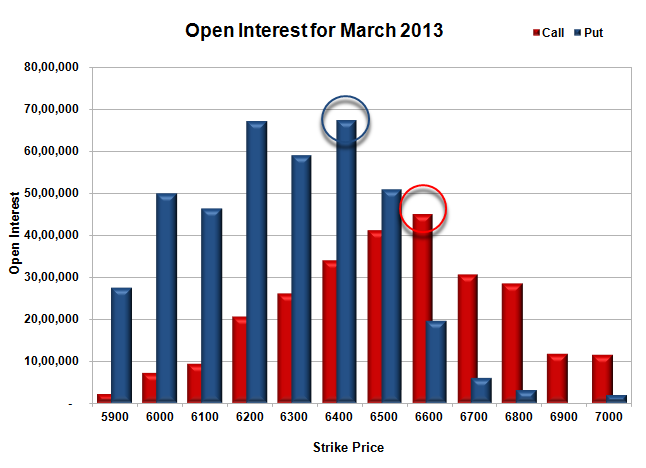 Nifty Open Interest is at 1,86,21,100 up by 61,100, with no change in price, most probably short/long build-up. Bank Nifty Open Interest is at 20,97,625 down by 49,725, with decrease in price, most probably small long liquidation. FII’s sold 1.13 lacs Futures, mostly short build-up, as their net OI increased by 1892 contracts (includes 53735 longs to 55997 shorts for the day) and the average price per contract comes to around 6488.18. FII’s future open contract as on date is 453879. PCR Open Interest (Volume) is up again at 1.518. Initial support at 6500, with huge OI of 50.92 lacs and below that at 6400 with highest OI of 67.36 lacs. Resistance looking good at 6600, with OI of 44.86 lacs. 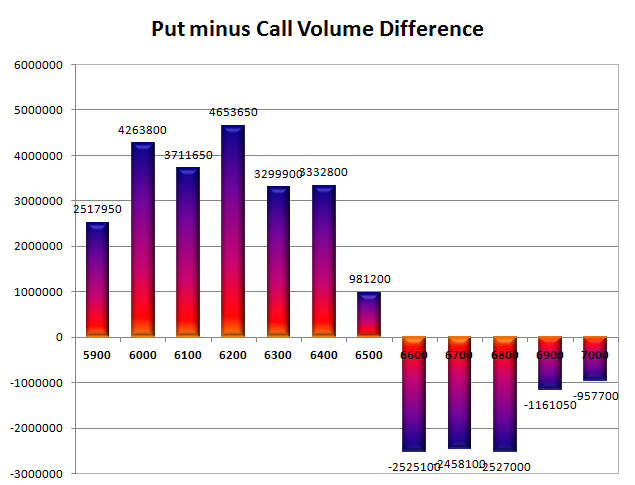 Day Range as per Option Table is 6464 - 6568 and as per VIX is 6459 - 6575 with 6517 as the Pivot.